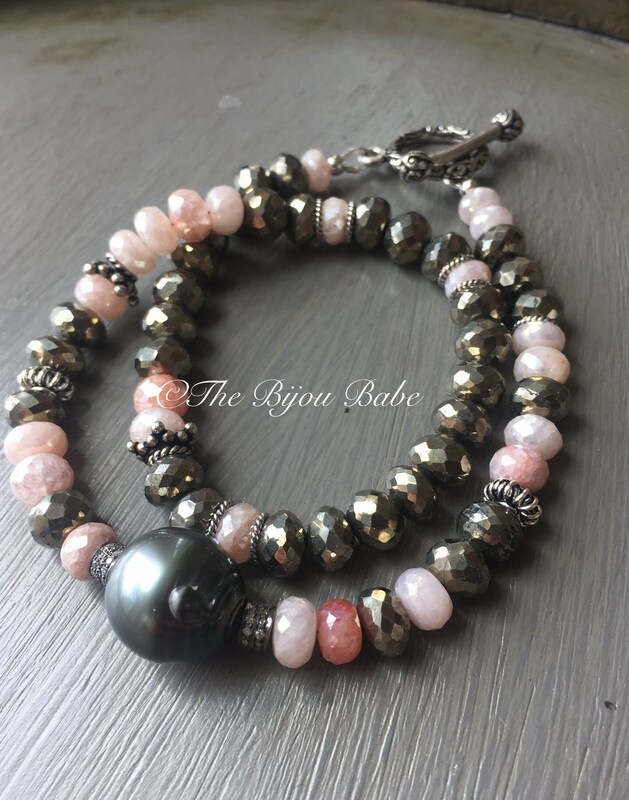 A large Tahitian pearl (14mm) is flanked by sterling silver pave diamond beads, and is the focal point for this fabulous double wrap bracelet. 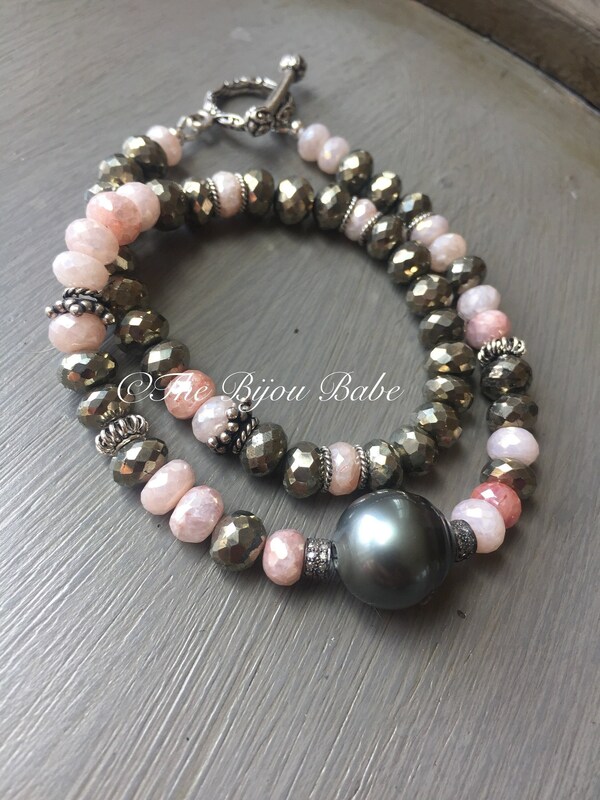 At 14" in length, this piece is a multi-tasker: it serves as a double wrap bracelet, OR a fabulous choker necklace. 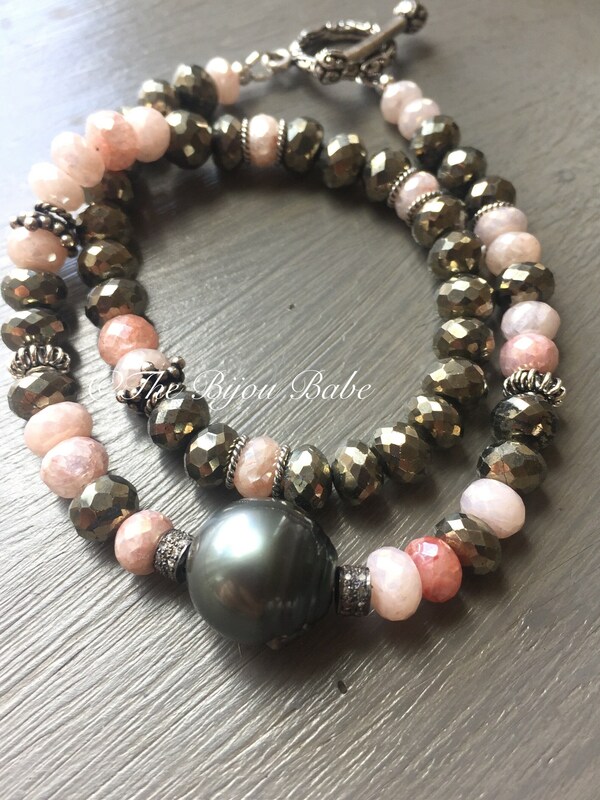 Faceted rondelles of mystic peach moonstone and pyrite are strung on professional beading wire, with intricate sterling silver beads interspersed as accents. The wrap is finished with an ornate toggle clasp in sterling silver. The gemstones have a wonderful heft to them, and will feel substantial on your wrist. Please look at each photo to see the beauty of these stones. 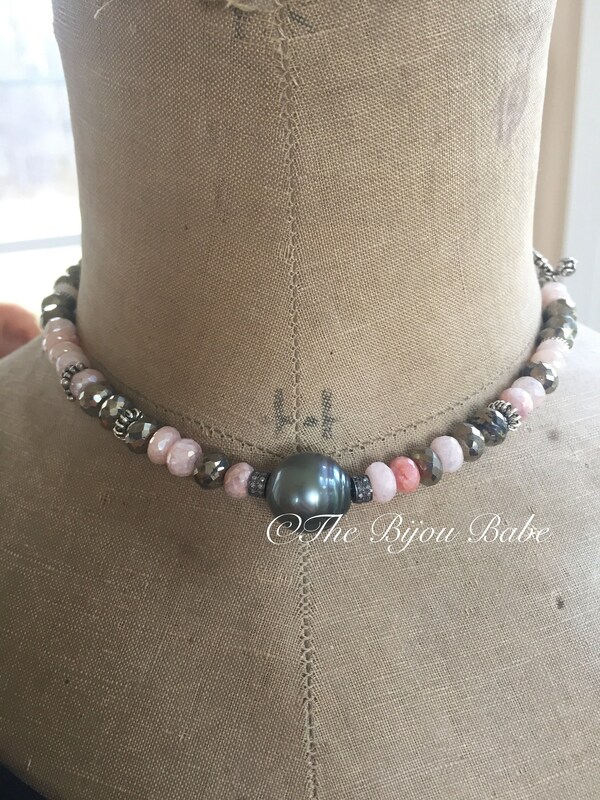 This piece is the epitome of boho luxury, and the Tahitian pearl is mostly smooth and round, but there is a "bump" on one side, which I am noting for accuracy. This is a one of a kind piece, and will not be reproduced with these gemstones! Your Tahitian wrap will ship USPS Priority Mail in the US, and will be packaged in a lovely, signature "The Bijou Babe" gift box.